It's bug or I'm doing something wrong (settings are default...) ? And if this isn't a bug, how can I restore upload limit like it was in 1.8.2... ? Is this ever going to get updated? I am using it and I love it. 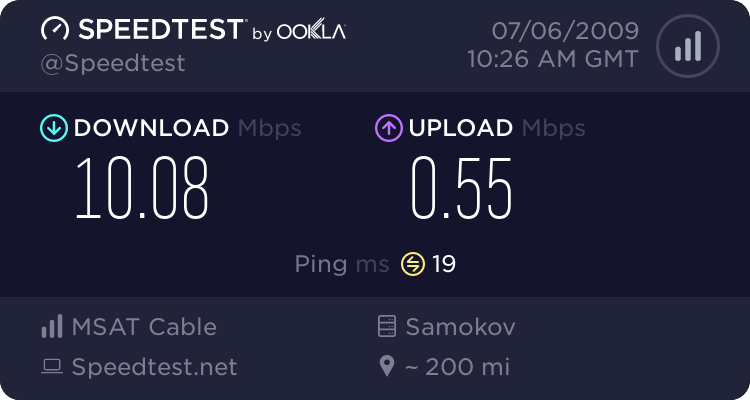 Yeah, it's great how it can get so much more out of the upload in my connection without effecting anything else! If I was operating under restrictive upload limits the lose of control would be dissconcerting. For this version, I have a query. I wonder why is it that when I set the uTorrent options to be using only a single port for both outgoing and incoming connections (so that I can use QOS settings to set priority on it), I can't seem to get it work for my Windows XP x64 system. It does work on my existing Windows XP x32 system. I have checked settings on both uTorrent's configuration windows and they are already the same. uPnP doesn't work if there is no active network connection when µTorrent starts. [2009-06-27 19:43:38] UPnP: Unable to map port 127.0.0.1:28767 with UPnP. Only seems to start working again after disabling/re-enabling uPnP. yep, 1.8.3.15728 works good !!! I've just woken up the the "can't save dump" crash dialog... Windows takes over and I get the DEP balloon. Bizzare, DEP has been supported for years, hasn't it? I have 3 crash dumps, but MegaUpload doesn't seem to have an easy way of uploading any more, suggestions? @Rafi Of course! My faulty memories' fault. If I wasn't shaped so much right now I probably could have figured that out on my own. I think it had something to do with the interference on my wifi bridge.. or the dns cache on my router dying... still crashing is bad. I have not been able to reproduce since changing the channel on my wifi and rebooting both routers anyway. @SynGamer: Try to renew the exceptions about new uT in your firewall. I redid them (deleted, tried letting NIS2009 auto, added them manually) and still getting red. So again, I have a bad way of explaining things, but what I'm saying is that you should make two lanes for both the UDP and TCP parts of the transmission, preferable with UDP being either lower (hence it can perform better as a way to help TCP by sensing congestions faster) or auto govern itself with no rule put in place for the UDP aspect of the connection on that port. Hey is a next beta coming? This is seemingly more and more becoming like Google Projects as things just won't come out of Beta? Please folks spare me the knee jerk reaction for saying that last sentence an old timer here just can't help but wonder? Edit: On second reading, I seem to have replied in a tangent. But you need to give more details. Simplest thing is to do a step by step approach. First reset all settings back to default, and re change things until you find what is wrong. Change the settings in the Advanced settings page last, as that maybe where the problem is coming from. [Default] means that it is the default setting, and you can reset it from the Advanced settings page. All other settings are done through the non-Advanced settings page, primarily in your case the Connections settings page is your place to set things right. So then set your port (it encompasses both TCP and UDP), and make sure "Add Windows Firewall exception" setting is checked off. Now remove the Windows Firewall rule you made manually (if you did? ), as it could conflict with the Auto rule exception that uTorrent will make on start-up. If you are using it and you love it why do you need an update? But the more interesting question for me is, who am I uploading to at this rate? If it's false, try it at true for a bit. niksus said: "who am I uploading to at this rate?" You're uploading to that 1 seed you're connected to. At such a high download speed, ALL the reply messages and continuation messages you have to send back to the seed is about 1/20th as fast as your download speed. It'd probably be slightly less if the torrent used larger pieces.